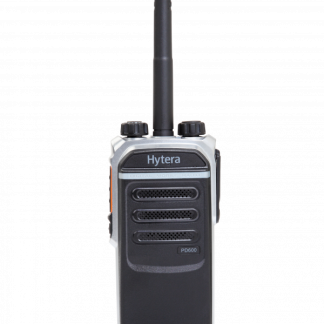 Hytera’s PD7 Series is built to the DMR Standard and is rich in both voice and data features. The design of the PD7 is approved to rigorous IP67 and MIL-STD 810 testing. This ensures the radio is robust and reliable, giving it’s user complete peace of mind. The PD7 also offers 5 mode operation. With the relevant firmware and licenses it is capable of analogue conventional, DMR convention, XPT digital trunking, MPT1327 trunking and DMR Tier III trunking modes. This means that your radio is future proofed and will continue working on your radio system infrastructure as it grows and evolves. Key features such as vibration, dedicated emergency button, and the large colour display make the PD7 an ideal solution for mission- critical communications. The PD7 offers also lone-worker features as standard with GPS and man-down as options for enhanced user safety. The large colour display of the PD7 provides excellent visibility even when viewed in extremely strong light. The globally patented industrial design of the radio and antenna ensure convenient operation and remarkable GPS performance. 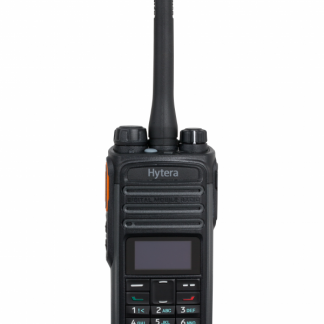 The Hytera PD7 series complies with MIL-STD-810 C/D/E/F/G standards. The Ingress Protection reaches IP67 (6: Totally protected against dust; 7: Protected against the effects of immersion up to 1m for 30 minutes). It’s the highest IP level for a land-based wireless radio application. 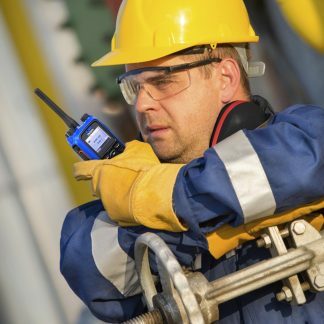 With the adoption of the AGC technology in combination with the application of narrowband codec and digital error correction technologies, The PD7 Series radios are capable of ensuring your voice is clear and crisp even in noisy environments or at the edge of the coverage area. The TDMA technology allows twice the channels based on the same spectrum resource. This relieves the stress of increasing shortage in spectrum resource. Besides the encryption inherent to digital technology, The PD7 Series radios provide enhanced encryption capabilities (such as 256- bit encryption algorithm). It has analogue scrambling, and digital encryption using Advanced Encryption Standard (AES) and ARCFOUR (ARC4) encryption methodology to both voice and data.). 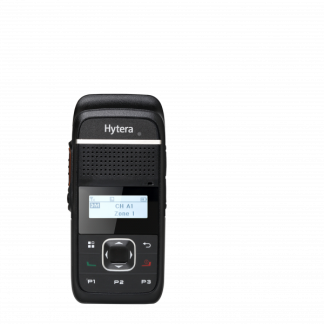 Automatic roaming between sites in a Hytera IP multisite connect system. Vibration alerts the user of voice calls and text messages. Capable of scanning of pure analogue voice and signaling, pure Digital voice and data, and also mix mode scan that comprises of Analogue and Digital activities. The PD785G/PD755G supports viewing of GPS positioning information and sending of GPS text message. 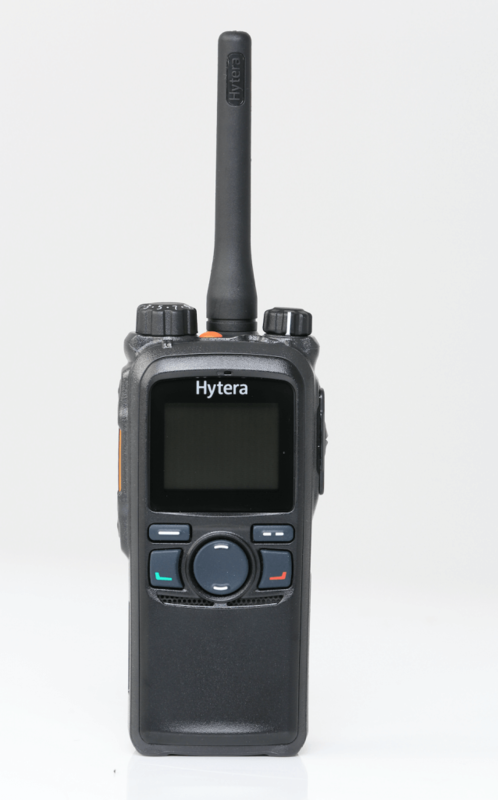 With the relevant firmware and licenses, the Hytera PD7 series can work in analogue, digital conventional, MPT1327 trunking, XPT digital trunking and DMR Tier III trunking modes. This is done via simple software upgrade with no additional hardware. Various analogue signalling types (HDC1200, DTMF phone, 2-Tone and 5-Tone), various squeltch control types (CTCSS/CDCSS) are supported, thus providing higher functionality expansion capacity to the analogue world. The intelligent signaling of the PD7 series radios supports various voice call types including Private Call, Group Call, All Call and Emergency Call. 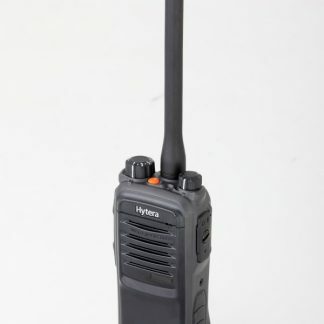 In addition to conventional voice communication services, the PD7 series are capable of Text Messaging, Scan, Emergency, Man-Down (optional), Auto Registration, High-speed Data, Transmission, Lone Worker, Radio Check, Remote Monitor, Call Alert, Radio Enable and Radio Disable. This allows third parties to develop accessories and applications via front and rear port of the mobile. (Features such as voice recording, encryption). The PD785 and PD755 portables are capable of sending private and group text messages. It also allows 3rd party application partners to control the radio via third party API (GPS, Radio Registration Services, Radio Call Control, Telemetry, Data Transfer) via Telemetry control to radio. 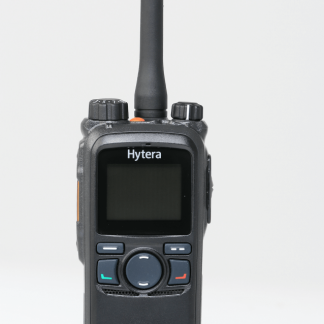 Hytera’s PD7 Series is built to the DMR Standard and is rich in both voice and data features. The design of the PD7 is approved to rigorous IP67 and MIL-STD 810 testing. This ensures the radio is robust and reliable, giving it’s user complete peace of mind.